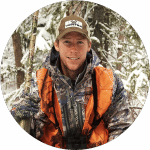 The survival tactics you need in the wilderness will depend on several factors, but the chief thing influencing survival will be the situation you face. For instance, if it is wintertime, the tactics you will need to implement in order to survive will differ vastly from the tactics you would implement in warmer months. What’s more, there is a hierarchy in which you will have to enact different tactics. Once again, your situation will determine the priority of some survival methods. For example, if you are lost in the wilderness in the snow, the first thing you need to do is find a way to stay warm, whereas in the warmer months you may need to find water or create a shelter first. The time of day can also play a role in what tactics you implement, especially if darkness draws near. Thus, defining priorities is paramount in survival situations. 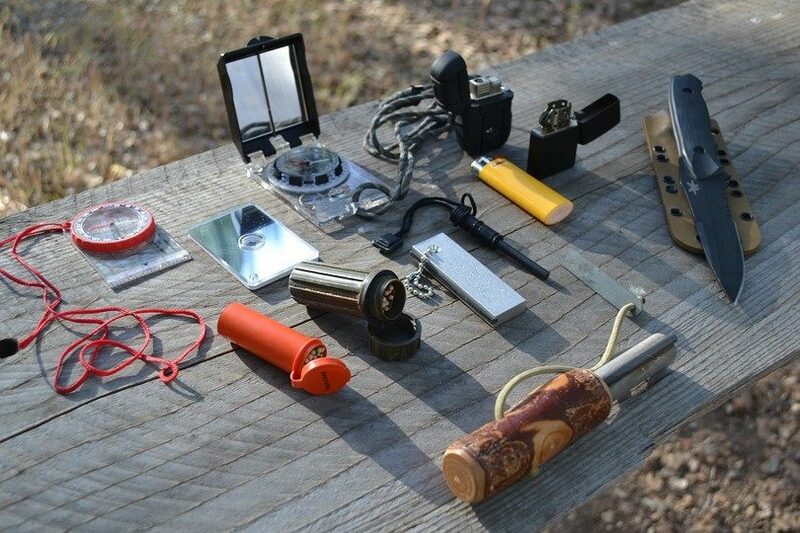 Wilderness survival tactics need to focus on your fundamental needs. When you are in the wild, there are four primary needs you should address immediately, and prioritizing what you need is imperative. If you do not address your needs within the correct hierarchy based on your present situation, you can put yourself in physical danger. Prioritizing your needs can best be determined by considering how long you can go without one of your needs before you risk physical harm or death. For instance, if it is spring or summer, staying warm is not a huge priority (unless it is raining and you have no shelter), because the risk of hypothermia during daytime hours is low. Consider this same factor in the wintertime and that fact that frostbite and hypothermia can set in within a matter of hours, and suddenly finding a warm place to stay and building a fire is of paramount importance. Once you consider your first need, you must prioritize the remainder. You can survive three weeks without any type of food, but you will not last too much longer than three days if you have no water. Thus, water becomes the next need you must address. Before food, you will likely want to find shelter as well since you will need somewhere relatively safe for the night. One of the best wilderness survival tactics you will ever implement is to think ahead and prepare yourself for the likelihood of being in a survival situation. Whether you raft on the Yukon River’s rough waters or head for Alaska where for an unforgettable backpacking trip through the Alaskan wilderness, preparing for the “just in case” situations is necessary. In winter months, the first of the many wilderness survival tactics you’ll need to address is establishing a safe and warm shelter. Even in the spring and summer months, you’ll need a place where you can get some protection from wildlife, the elements, and UV light exposure. Creating a shelter that has a flat floor and that will easily drain water away from the shelter all while keeping water out of the interior. Erecting a shelter nearby a source of firewood or bringing a source of wood to your shelter. 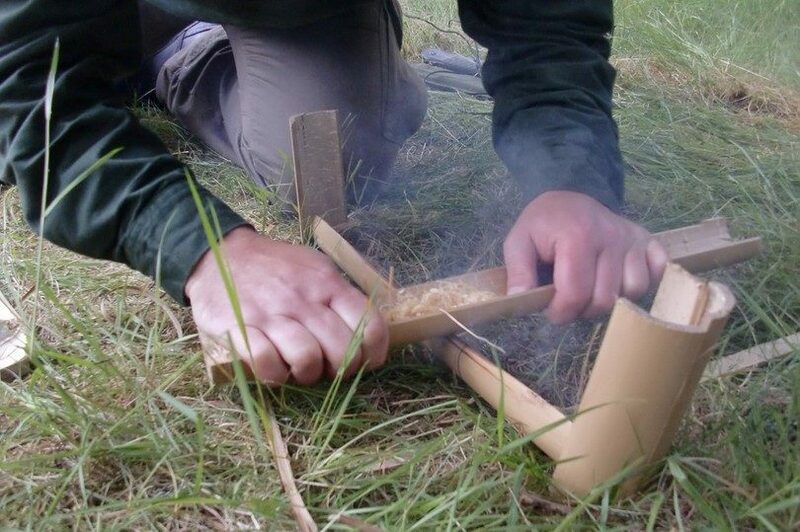 Establish the shelter within a reasonable and safe distance from water and where you build a fire. Finding building materials if you haven’t brought something with you like rope and a tarp or even garbage bags. Making the shelter strong enough to keep you safe from unwanted animal visitations. Making your shelter visible from the air (in case there is a search party), and/or making it visible through the trees by tying orange cloth to its exterior. Finding a site that offers natural cover like low limbs, crevices, and caves. 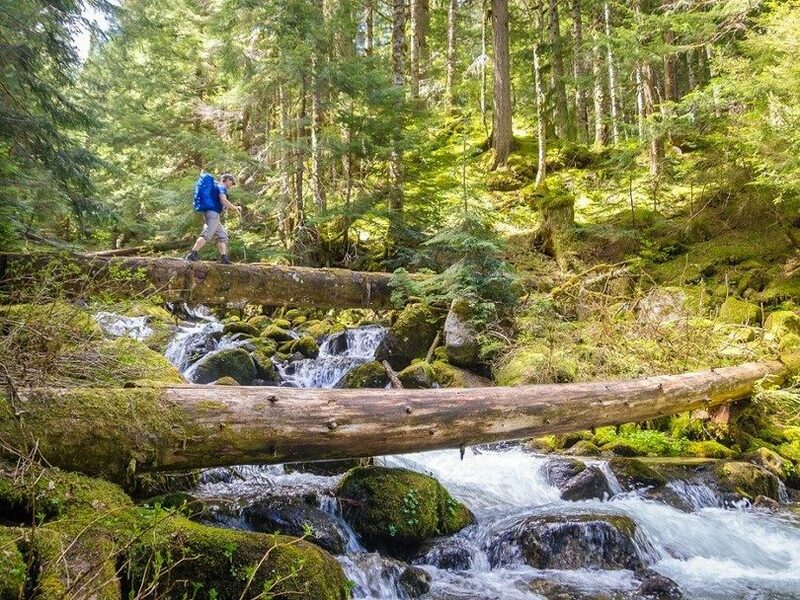 The top wilderness survival tactics involve knowing the myriad ways to start a fire for cooking, purifying water, and for keeping your body warm. The fire will also provide you with source of light when it grows dark. Even if you do not have a lighter or fuel, there’s other fire starting tactics. Tinder: This fire-starting source consists of dry material. The dry material you can use to ignite the fire from a spark you create. If the tinder is not perfectly dry however, your fire starting efforts will come to naught. Tinder sources include tree resin, bark, dry grass, dried leaves, and paper. Lint from the drier also proves an outstanding fire starter, as does steel wool. Kindling: This fire building material goes on top of tinder that is set on fire. The material needs to be dry to burn correctly. Usually, thin, light sticks and twigs serve as kindling, but dry pieces of bark can also serve as kindling on a fire. 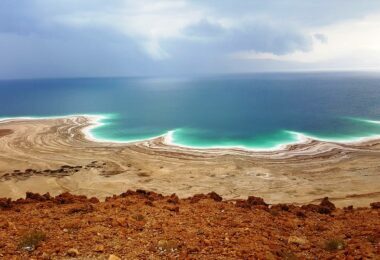 When you are mastering wilderness survival tactics, undoubtedly you will learn the art of finding water and how to go about purifying water sources. The body is comprised of roughly 75% water, and each day, you will lose between two to three liters (a half to one gallon) of the liquid via urination and perspiration. When you are out in the wild, the more you exert yourself, the more fluids you will lose, and if you are in hot weather, you will perspire a lot and lose even more water. During the winter months if there is snow on the ground, you will have a source of water that you can melt and purify with relative ease. In contrast, what happens when it is not wintertime? 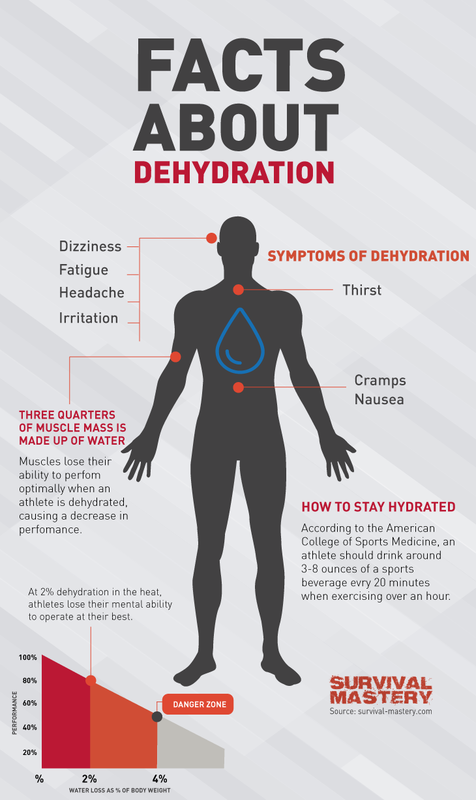 You need to find a water source since you will dehydrate quickly. Whatever water source you find, attempt to find a body of still, calm water where the turbidity or cloudiness of the water is minimal. Boiling water is the minimum you should do to purify it. If you have a water filter system with you, that is an even better approach. You need to free the water of parasitic worms, viruses, bacteria, chemicals, and turbidity before consuming it. 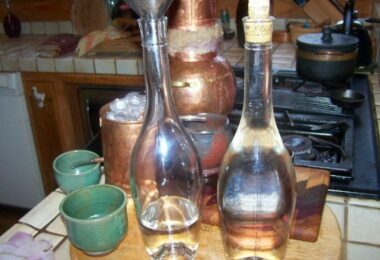 You can use chemical means of water purification or you can invest in a water filtration system with portable features. If you haven’t brought some food with you or you run out of food, you’ll need to get creative about your food sources. You can attempt to trap animals, capture snakes, and cook them for protein, or you can fish if you bring along a fishing wire and some hooks. In the event you have no tools or food with you, you can find many edible plants in the woods. Remember, if in doubt, don’t consume it. Don’t consume mushrooms and avoid consuming any plants or berries you are not sure of as well. You can eat bugs and worms when you are in the woods and in a survival situation. While this may not sound very appealing, the truth of the matter is that the longer you are waiting for rescue, the greater the likelihood you will run out of food and you will have to suffice with what you can find. Many bugs contain up to 80% protein, so they are a good source of the nutrient. For a list of edible insects that you can eat for survival, see our article on this important topic. Of course, you should not eat bees, wasps, or anything with a stinger and you will find bugs with bright colors and caterpillars have an undesirable odor when you eat them. You should also refrain from eating mosquitoes, flies, spiders, and ticks. The edible bugs you can choose from include grubs, beetles, termites, and ants. Worms are edible (although certainly not desirable for most) and if you can find fresh water you might be able to rustle up some crustaceans to eat. If you’ve ever had crab or lobster, crayfish are like their mini cousins, all of which are edible. If you are near saltwater, you can try to capture shrimp, crabs, lobsters, and more in waters approximately ten meters deep. Mollusks include all of the following food sources you can sometimes find while out in the wild: sea urchins, chitons, periwinkles, barnacles, bivalves, mussels, clams, and snails. Learning how to navigate through the outdoors is part of mastering wilderness survival tactics. There are ways to use elements in nature to determine the direction you are traveling in or you can make use of the navigation tools you have before you. See our piece on how to use a traditional compass to help you find your way. You’ll also need to weigh the consequences between remaining where you are until help arrives and making a decision to try to navigate your way back home after suddenly becoming lost in the woods. Remaining in one place can make you easier to find, whereas an effort at navigating yourself home means you’ll get home all the sooner. People can use astrological bodies to find your way back to your original location as well, including the Southern Cross or the North Star as a navigation tool. The moon can be used to determine a rough East to West direction, and if you pay attention to the Sun’s movement, you can get information about the east and west cardinal points. It’s a good idea for you to master some natural navigational options. If you bring a compass along, the device should be set to magnetic north. Don’t count on your mobile device’s digital compass when in the wilderness: If there’s nowhere to charge the device, you won’t have access to the compass. In lieu of compass, you can use landmarks, tie strips of fabric or cord to trees, or leave small piles of rocks in a trail in order to navigate your way back home. 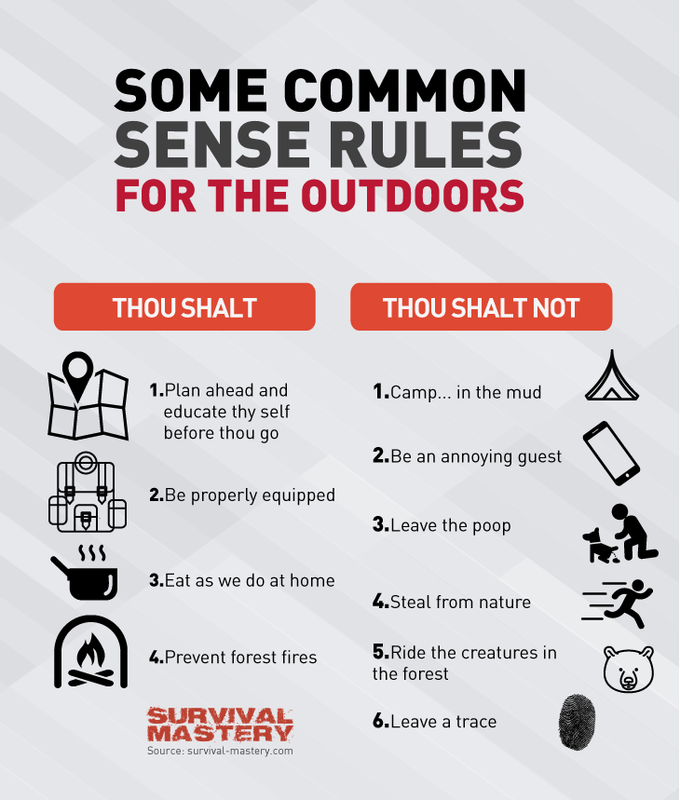 There are some mistakes that can cost you your life when you are in a survival situation in the woods. 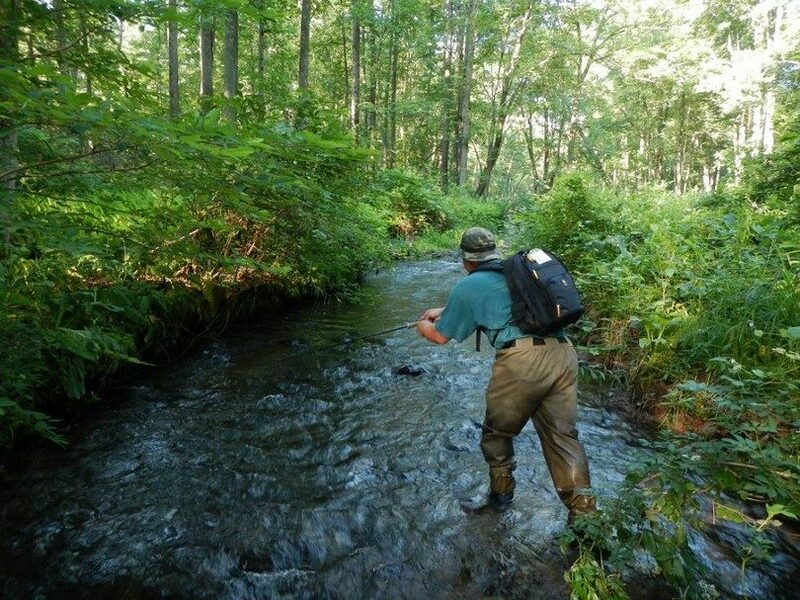 Your wilderness survival tactics should include an understanding of what you need to avoid doing in order to survive. Failure to find or establish shelter: Without shelter, you are running the risk of being injured or even worse, succumbing to exposure. It doesn’t matter if you brought a sleeping bag with you, you need an adequate shelter to remain dry, and you need a bed that’s up off the ground so you can maintain adequate body heat. Failure to plan: Going into the wilderness without giving a thought as to what might go wrong is not advised. Preparing a backpack with the things you need is far more responsible than hoping help will come along when you need it. 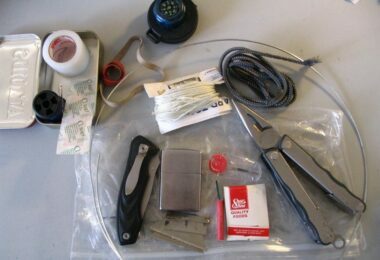 Our article on how to prepare a bug out bag will be of great help to you, so check it out. Choosing Poor Navigational Aids: As mentioned earlier, you don’t want to count on a mobile app as your one and only navigational tool. It is better to have a solid backup method for finding your way back home. It’s better to master the understanding of the movement of stars. Never stop learning wilderness survival tactics: There’s a lot to learn when it comes to the art of survival. You need to learn about different shelter building options, how to get attention from rescuers, and what you can eat without having gastrointestinal difficulties. Part of excellent wilderness survival tactics involves preparation for anything. If you believe, you know an area so well it’s impossible for you to get lost in the woods then think again. What’s more, you don’t have to get lost to be in a survival situation. Wearing the wrong attire: Heading out into the woodlands and wearing the wrong clothes and shoes is definitely looking for disaster. If it’s too cold outside in wintry weather and you’ve dressed lightly, you’ll end up with hypothermia or frostbite. Meanwhile, if its summer and your wearing layered clothing, you’ll increase the likelihood of a heat stroke on a hot day. Failing to invest in water filtration tools: If you fail to get a water filtration product for the department store or sporting goods store, you’ll wish you had when a real survival situation arises. With the ability to purify a water source, you can get out the nasty materials/particles, viruses, and bacteria so the water becomes useable. Failure to conserve: This notion is more important if you have yet to search for food, as it will be more difficult to maintain your regular caloric intake. Don’t waste energy in a panic. Remain calm when you are in a survival situation. When looking to add to the arsenal of knowledge you have about wilderness survival tactics, you definitely want to have knowledge of First Aid and CPR. 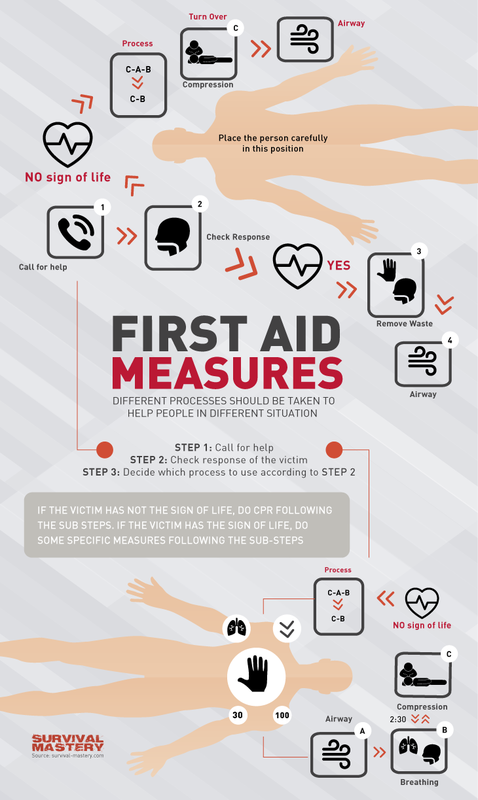 First Aid knowledge will serve you well if you are alone or with others and there is an injury you need to tend too, while CPR will prove an ideal skill set in the event that someone that is lost with you or in a survival situation requires live saving resuscitation. See our piece on the best first aid kits to help you be prepared for anything. The First aid kit you create for your survival needs has to be in a container that will keep all of the items dry and free of debris. Many kits are premade and come with hard shell case, or you can put the items in a waterproof plastic bag. The best thing you can do to ready yourself for a survival situation is to think about what can go wrong and then prepare for the inevitability that something might actually go wrong while you are out in the wilderness. 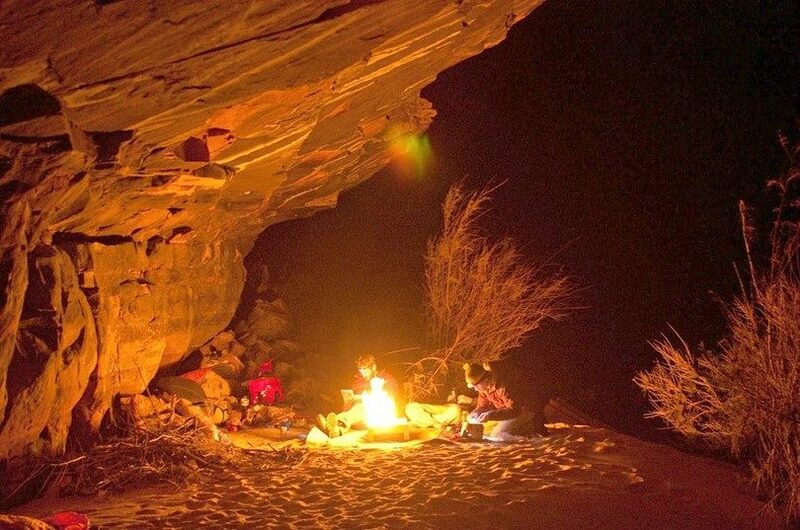 Wilderness survival tactics are something you should put into practice and start thinking about long before you head out into the wild for any type of excursion. 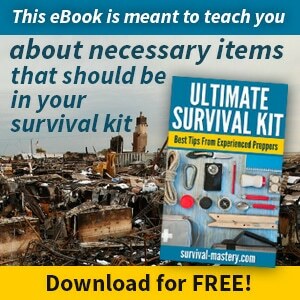 What will greatly increase the likelihood of your survival if you are put into a survival situation is your understanding of how to fulfill your fundamental needs while out in the wilderness. Prioritizing your needs and doing so with consideration of climate, food source, habitat, and water source is paramount.